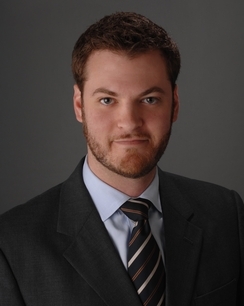 Seth Jaffe is partner with Hinkhouse Williams Walsh LLP. Seth's practice is focused on the representation of domestic and foreign insurers in complex insurance coverage litigation, with a concentration in the areas of environmental contamination, toxic tort, and bad faith. He has litigated cases in state and federal courts throughout the country, including Illinois, Wisconsin, Missouri, Ohio, Tennessee, Oregon, New Mexico, South Carolina, and Massachusetts. He also has experience litigating coverage issues related to construction defects, personal and bodily injuries, property damage, and workers' compensation. Defense verdict following a jury trial in Missouri state court on an insured manufacturer’s breach of contract claim relating to coverage for asbestos-related liabilities. Summary judgment in federal court on insured mining company’s claims for coverage for lead pollution losses and successful defense of the judgment on appeal to the Eighth Circuit Court of Appeals. In addition to his litigation experience, Seth also regularly assists clients in an advisory capacity, providing counseling relating to issues of insurance coverage, claim monitoring and administration, and reserving analysis. Prior to entering private practice, Seth served as a law clerk to the Honorable Judge Mary Anne Mason in the Chancery Division of the Circuit Court of Cook County. During law school, Seth was an executive editor of the Loyola Law Journal, and also spent time working in the Policy Division of the Illinois Attorney General’s Office, the Felony Trial Division of the Cook County State’s Attorney’s Office, and in the chambers of the Honorable Patrick Quinn of the Illinois Appellate Court. Seth was named to the 2019 Illinois Super Lawyers for Insurance Coverage.